SNAP 2019 will be conducted in December 2019 by SIU. Here are some last minute tips for a better preparation or revision. • Be Dynamic: Do not be disturbed or overwhelmed by past experiences of mock tests. Be confident but not over-confident. • Be Informed: You should keep your eyes and ears open and collect data about previous year tests, competition, important dates, etc. • Know your Strengths & Weaknesses: Understand what you are good at, which section, which particular area, etc. and where improvement is required? • Develop your Strengths: Once they are identified, you need to build upon your strengths and ensure that they are concrete. • Work on your Weaknesses: Ensure that you turn your Weaknesses into your Strengths through Hard work & Application. However, you can ignore certain areas you are not sure of or makes you confuse. • Analyze & Strategize: Analysis about strength and weakness will help you strategies your test paper like which section to attempt first, how much time to spend on each section, what kind of questions to scan for solving at first, etc. • Take help when required: Do not hesitate to approach your mentor or seniors at any point where you require our help. May it be analysis or strategising, you should have the right guidance. 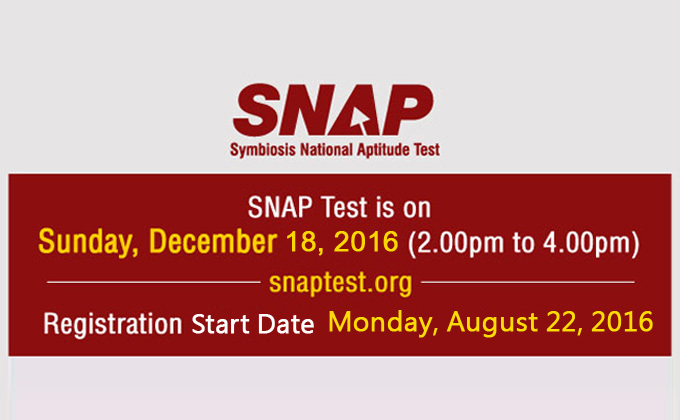 MBA Rendezvous wishes all the best to our readers for SNAP 2019 Exam ! !